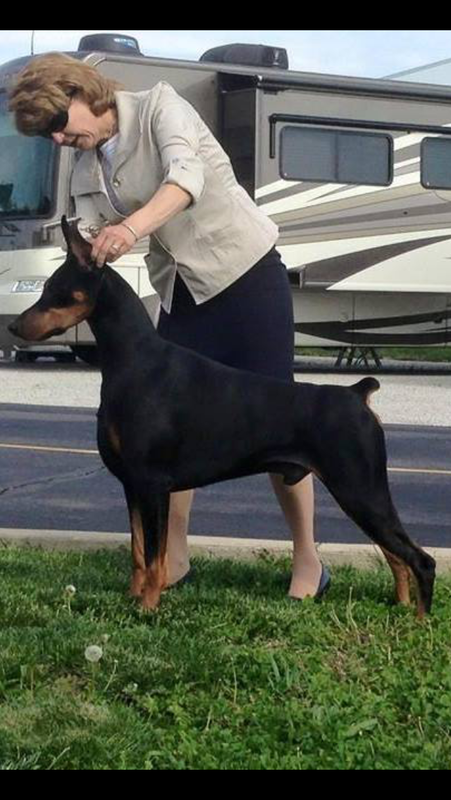 This litter was co-bred by Rebecca Roter of Aludra Dobermans, Pat Reinhardt of Shadeko Dobermans and myself. All puppies are black & rust. 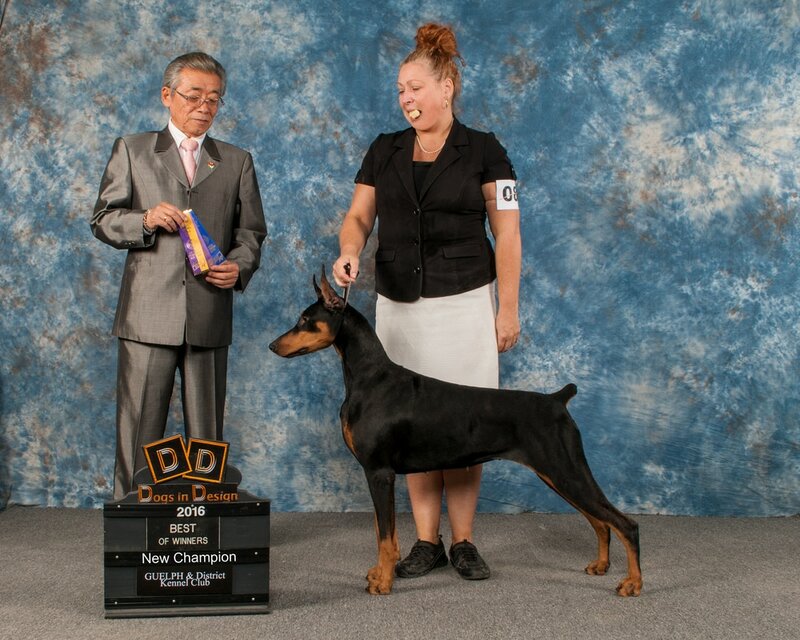 No puppies are VWD affected as breeding was carrier to clear. Ella and Godric have been health tested for Heart, Hips, Liver, Thyroid and Kidney.